I would like to express my thanks to Dan Compton, Library Director for the Kimball Junction branch of the Summit County Library. The need was expressed in the community for an outside book return. This greatly serves those who are unable to get out of their cars to access the book return slot, whether it be parents with small children, the elderly (who want to avoid any potential falls in the winter), the handicapped, or just those in a hurry, who may not have time to park and get out of the car. Thank you to the Friends of the Library, for funding this important addition to our local library. Sometimes all it takes is one small voice, and that really CAN make a difference. 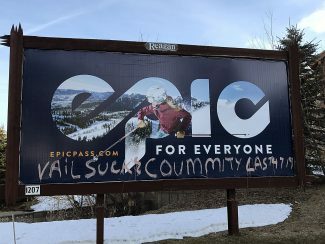 Park City is an amazing community and place to live! With the 42nd year of the PC Ski Swap, a new dusting of snow on the ground and the Live PC Give PC event having just successfully finished its 4th year, we have much to be thankful for once again. Live PC Give PC typifies everything that we love about Park City, caring, passionate people who understand the meaning of community. I can't thank The Park City Foundation enough and the wonderful women who make it happen; bringing our community together for such a great day of energized and focused support. Congratulations to everyone at the Park City Foundation for making their goals become a reality and our Park City community for being so generous! Mountain Trails Foundation has once again been honored as the # 1 non-profit organization in this Live PC Give PC fundraising event. In Park City it is always a little competitive, but we hope that all non profits felt it was a good day of fundraising and recognition for their organizations. I know I speak for all the MTF staff, our summer trail crew, our board members, ambassadors and volunteers, and myself when I say we all are totally humbled by this show of support and outpouring of love for our trails and the lifestyles we all enjoy on them. Everyday we have and will continue to work hard to preserve our communities' trust and protect that which they consider so dear. Thank you Park City! On Friday, Nov. 7, I was proud to be part of the Park City Community! The people of Summit County came together to show their support for over 70 nonprofits, marking the 4th annual year of Live PC Give PC. Live PC Give PC exceeded our $1 million goal, raising a total of $1,008,081 from 2,755 contributors. This reflects an increase of 126 donors and $175,964 over last year’s event. Park City Community Foundation is honored to host this event, but we could not have achieved this success without our incredible sponsors, outstanding nonprofits, amazing volunteers, local businesses, and the support of the Park City Community. On behalf of the Park City Community Foundation, thank you to all the individuals and organizations who worked enthusiastically to help us achieve our goals and who support so many wonderful organizations that make our quality of life so great. If you know Christina Miller, you know the real Christina. She is warm and caring and always willing to help. If you don’t know, but know of her, you are probably centered in one of 2 camps: 1) you want to get to know her; or 2) you don’t want to be anywhere near her. Christina is who she is. What you see is what you get. She is one very tough girl! She is always happy, loves to laugh, and always fully charged. Christina is laser focused, extremely confident, organized like no other, and always succeeds in completing the goal on time. When she steps up to the plate, you better back up to the fence as that is where the ball is heading. Her life is very busy and complicated, so to keep everything flowing smooth, she has a paper list for everything. The goal is to get on the paper list! Right now she will have a list nearby for today’s goals. And she will already have a list started for tomorrow’s goals. She has noted on her list every dinner date we have ever been on. If I ever tell her she neglects me, she pulls out her list and shows me how I am wrong. She finds my weak claims "interesting" and has a caring way of gently boxing me in and them pounding me with the facts. There is nothing more important in Christina’s life than her three children and being a mom. As busy as Christina is with her law practice and with the all the local boards she enjoys, she excels at being a mom. Christina finds time to volunteer at the schools. She can often be found reading to kids, helping, or filling in where no one will. She is always always helping someone. If you ever get into her cross hairs you are very lucky or way screwed. I am very proud of her! She is amazing! In 2012 Wasatch County Planning Commission proposed to rezone the Northfields. Withabsolute outcry from the community they put off the decision. Nov. 13, at 7 p.m. at the Wasatch County Admin Building, the County Commission is considering a change from 1-home-per-20 acres, to 1-home-per-10 acres. This public hearing and vote will occur at 7 p.m. in the County Offices. There are a number of county planners and council members that either own land in the Northfields or have family that do. law, because these members will either directly or indirectly benefit from this rezone they should recuse themselves from the vote. The current zoning purpose is to "Avoid excessive costs for public services in areas with high physical constraints, preserve the beauty of the entry corridors of Wasatch County, protect the underground water supply from pollution, and maintain an open rural buffer between Heber and Midway City." We have a true gem in the Northfields, with views and ranchland like no other, and a true sense of place, which attracts our visitors, new businesses, and families wanting to relocate for a better way of life. If the county commissioners are successful, the character of our agricultural valley will be lost forever. The founding fathers of Wasatch County had the sense to zone the Northfields as such to protect the ranching way of life and ensure the protection of this important river corridor. Honor them by letting the Wasatch County Commissioners know that we oppose re-zoning the Northfields. I ask you to stand up and let the Wasatch Government know that enough is enough and to leave the Northfields as they are and how they were meant to be. Attend the hearing and/or voice your concern to planning@co.wasatch.ut.us. Live PC Give PC typifies everything that we love about Park City, caring, passionate people who understand the meaning of community. I can’t thank The Park City Foundation enough and the wonderful women who make it happen; bringing our community together for such a great day of energized and focused support. 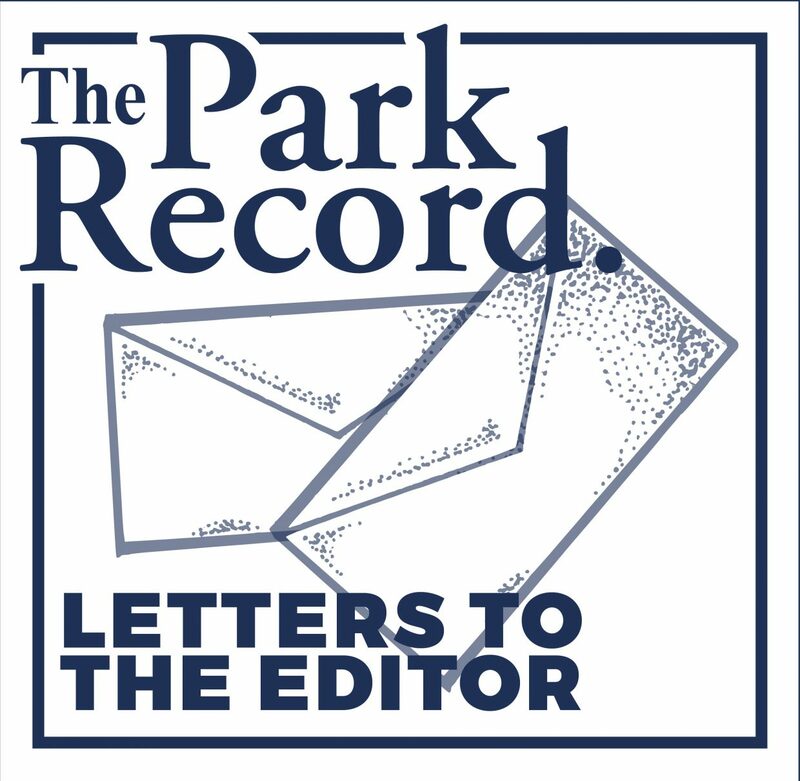 I know I speak for all the MTF staff, our summer trail crew, our board members, ambassadors and volunteers, and myself when I say we all are totally humbled by this show of support and outpouring of love for our trails and the lifestyles we all enjoy on them. Everyday we have and will continue to work hard to preserve our communities’ trust and protect that which they consider so dear. Thank you Park City!